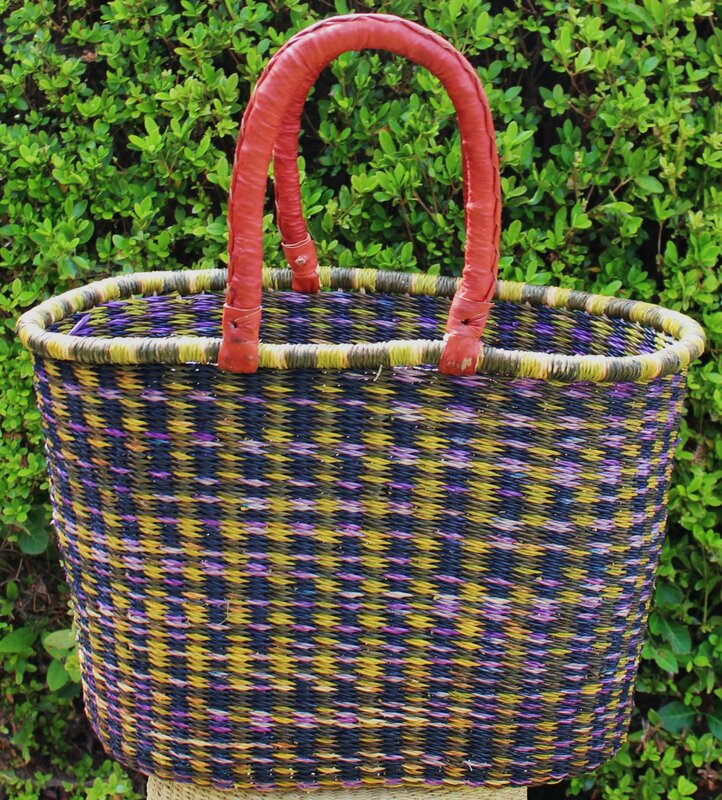 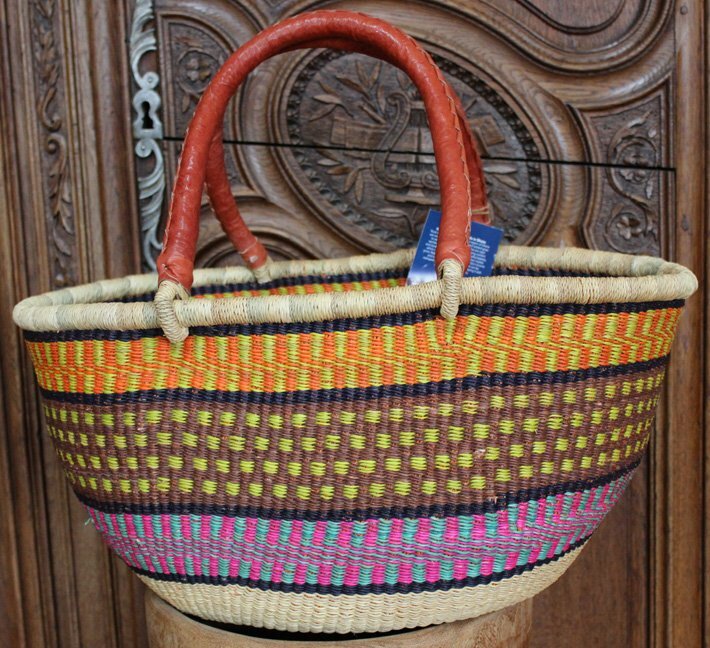 Gambibgo double weave baskets are woven by master weavers in the Bolgatanga region of Ghana. 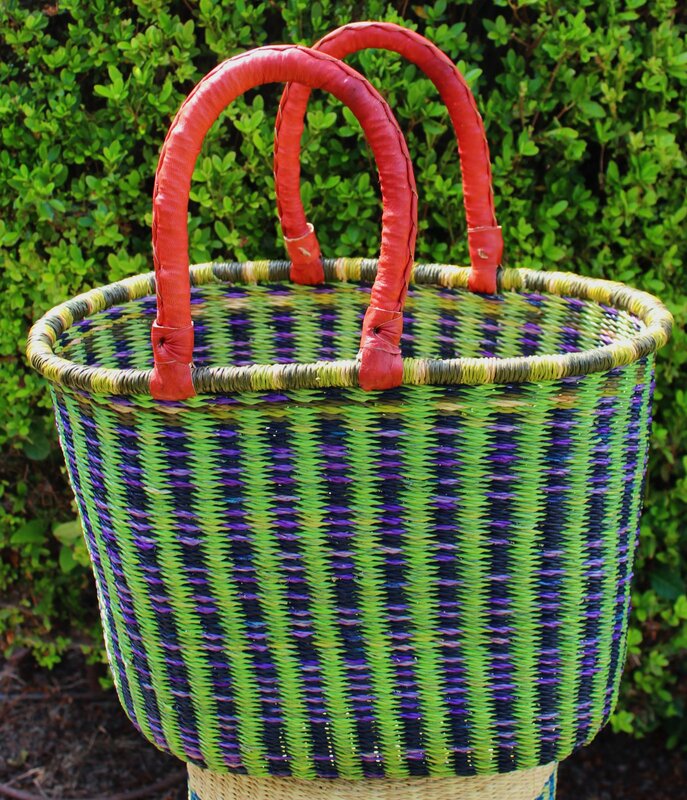 Extra tight and often more intricate with more colors, these baskets are the top of the line. 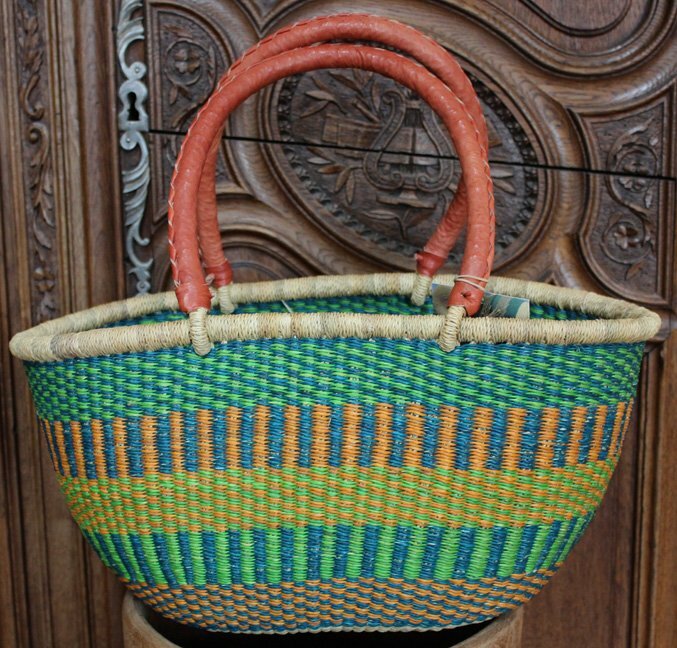 We like to say that "pretty is a plus" with Bolga baskets, because the baskets beg to be used instead of only displayed. 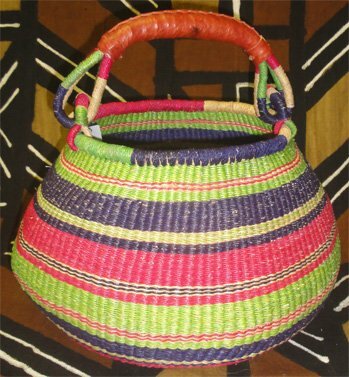 In the case of the Gambibgo pots, they really are works of art, but still useful for storing things (great for yarn!) 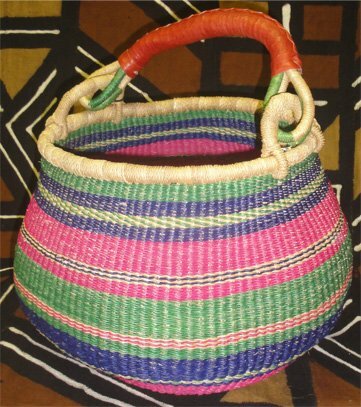 or carrying. 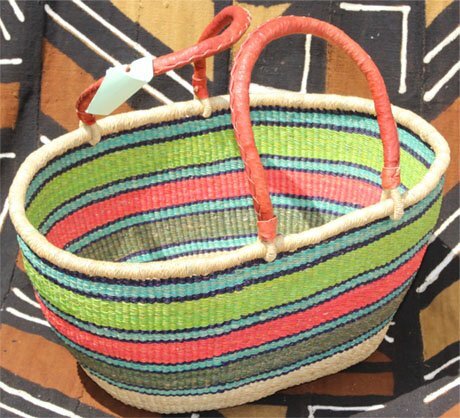 The Gambibgo ovals are very big, super for holding bulky items (towels or quilts) or carrying everything you need to the beach. 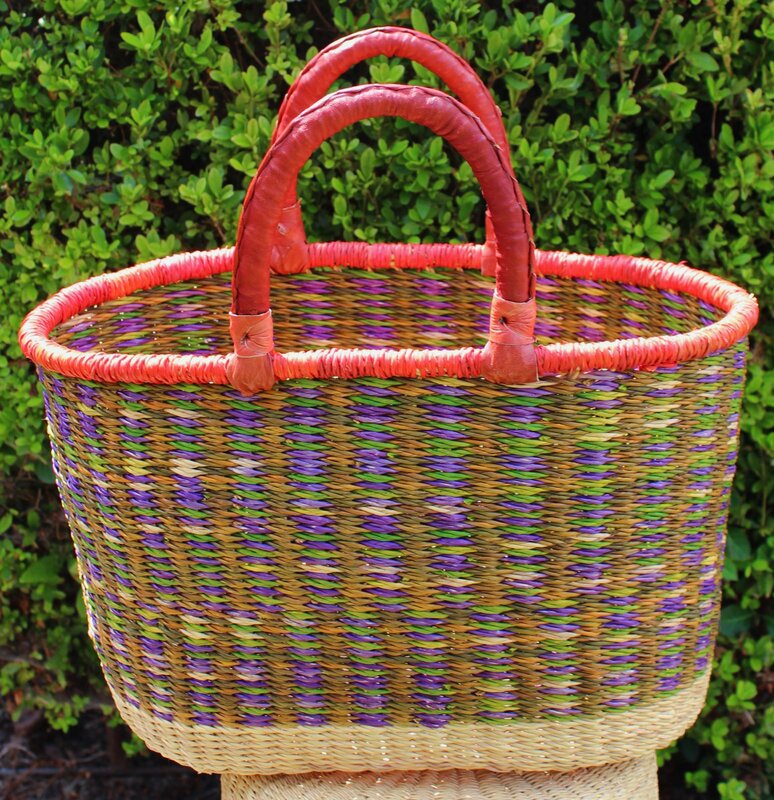 Remember, you can always wash out the baskets if they become dirty, or get them wet to reshape if needed.